Jessica Caldwell, the planner for the Town of Newton, presents the redevelopment plan to the town's planning board and public. NEWTON – In a vote (though not unanimous) on Wednesday, Oct. 23, the Newton Planning Board decided that the section of town by the McGuire Chevrolet area, is a viable candidate for redevelopment. 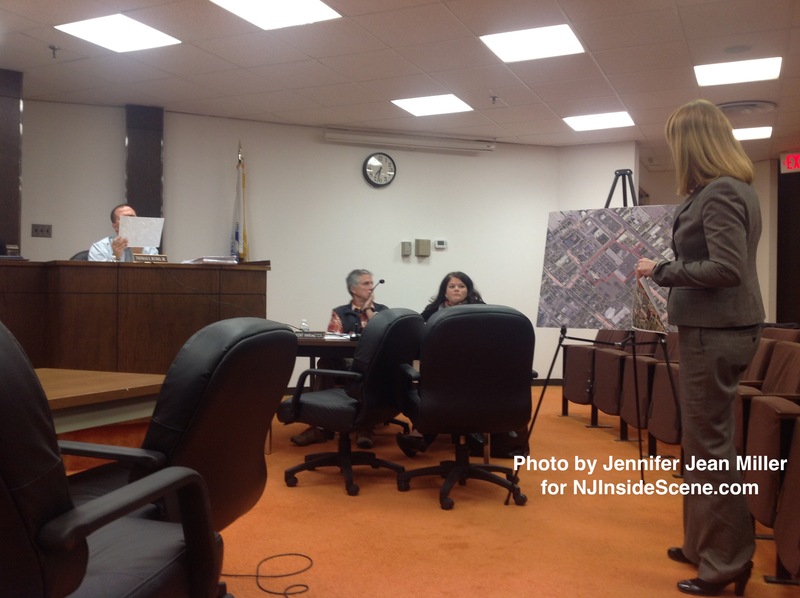 Jessica Caldwell, the town’s planner, from J. Caldwell & Associates, presented her findings about the Block 8.08, and Lot Numbers 6, 7, 8, 9, 10, 11, 29, 30, and 31, in her “Area in Need of Redevelopment Study,” during a public hearing. The properties within questions are between Main and Adams Streets. One of the areas of major concern is McGuire Chevrolet, which is in the process of departing from Newton, for a new dealership site in Hampton Township. McGuire Chevrolet has been in town since 1915. McGuire’s departure from lots 8 through 10 is a major catalyst for the study with the dealership’s impending vacancy due to its obsolescent location — General Motors has requested of its dealers to participate in an “Essential Brand Elements” program, to upgrade their facilities, or possibly lose their franchises. “I’ve heard they [McGuire] should be there [at the new dealership], within the next month or two,” Caldwell said. An obsolescent location is one that falls into a qualifying criteria for a Redevelopment Law. What will eventually replace McGuire is unknown at this time, however, according to Caldwell’s report, a car dealership does not fall into permitted use for that facility in the T-6 Zone (Town Center Zone). Additionally, for that property itself, cars are currently parked on the sidewalk, which does not permit for a conducive pedestrian environment,. Circulation is poor throughout the lot, and cars delivered on the car trailers along Route 206/Main Street, present safety hazards. This property has been the site of six motor vehicle accidents between 2008 and 2012. Caldwell said there is also a slight soil contamination on the property, most likely as a result of fluids from the vehicles. “We don’t know of any severe contamination, but studies are ongoing,” she said. There were three other major areas that were discussed. One was the post office, which Caldwell’s report reflected an obsolete layout. The alleyway that leads to the town’s Parking Lot #1, could be a connection to that lot, and presents hazards itself. There is also an area in front of the post office, where three cars can park, for a maximum period of 10 minutes. This parking area can present challenges for those parked there, especially when attempting to merge back onto 206, after leaving one of the parking spaces. There have also even eight motor vehicle accidents between 2008 and 2012 in front of the post office, which postmaster Jack Balisi confirmed did not involve any mail vehicles. He also said if eminent domain is to be implemented (which the planning board said is not the case), the post office does not fall under it because it is a federal building, and asked that the planning board counsel reach out to the post office’s counsel. Two other buildings were in question, 75 and 79 Main Street. Both buildings have been abandoned for minimally two decades each. Number 75 was constructed around 1802, and was the first Newton Academy. Number 79 was built in the early 1900s, and was originally a private residence, and then a commercial building. Since abandonment, both buildings have called under disrepair, and been the victim of criminal activity. Number 75, four incidents of criminal trespass (two each in 2008 and 2012, respectively), and 79, the victim of criminal mischief, burglary, and unsecured premises in 2008. Peter Khletsos, President of the Sussex County Historical Society, asked that consideration be taken with the former Newton Academy Building, which is across from the society’s headquarters. He said at one time the society hoped to purchase the building, but the asking cost was too prohibitive. “It is an important building, and I hope planning takes it into account,” Khletsos said. He reminded the planning board that a path between 75 and 79 Main Street is the only access to the Newton Cemetery, which his group helps to care for. Alex Everitt, a former Newton resident who now lives in Lafayette, who is a part of the historical society, also spoke in favor of the building. He said it is visible on an 1854 map of Newton, with the same front as in 1802. He described it as the second or third oldest building in town. “Newton doesn’t have a good reputation for saving historic structures, this may be a chance to redeem itself,” Everitt said. The building is located within the town’s historic zone. Nick Gangemi of Randolph described himself as the owner of building numbers 75 and 79, and said he had planned to redevelop the properties himself. He described 75 as needing to “come down,” and that he planned to restore number 79. The interior of the structure he is amazed by — the wooden balusters still in beautiful shape, along with the pocket doors, the exterior front door, and the lead-lined glass in the windows. “It’s unbelievable inside,” Gangemi said. He hopes to transform that building into a law office. The members of the planning board were not as optimistic about 75 Main Street. Mayor Joseph Ricciardo asked about the historic value and said he wished it was in better shape. Planning board member Daniel Steinberg said if the building was restored, it could not be done so with any of the historic characteristics, since all of the original windows have been removed and have since been boarded up. Kent Hardmeyer, another member of the board, said McGuire had planned to purchase the building, but was unable to, because of their plans to demolish it and rebuild a customer service center. Their request was denied by the town’s historical committee more than a decade prior. “If it had been approved maybe they [McGuire] would still be here,” Ricciardo said. We’re on the scene for you, if you can’t be there! Follow us on Facebook to keep up with the happenings we’re keeping up with! 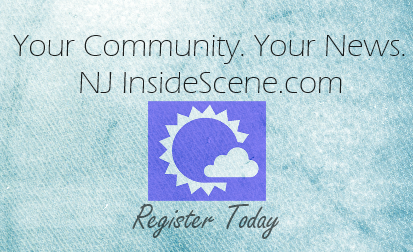 Thanks for staying on the scene in New Jersey with NJ Inside Scene!